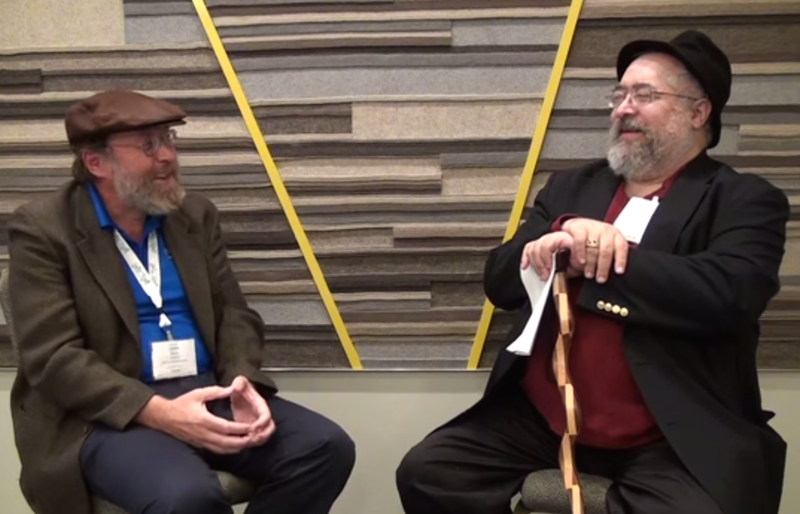 Rick Steiner, co-author of “A Practical Guide to SysML: The Systems Modeling Language” talks about why SysML, approach to take, and fun in Systems Engineering with his passion in education – interviewed by Michael Chonoles who is an author of UML2 for Dummies. Hello. I am Michael Chonoles and we are here at OMG meeting in Long Beach and I am here with Rick Steiner. Can you introduce yourself? I am Rick Steiner and currently an independent consultant. 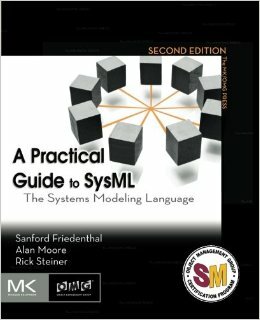 I spent nearly 30 years in Raytheon and I am a co-author of “A Practical Guide to SysML” – one with Sanford Fridenthal and Alan Moore. And I’ve been involved from the very beginning of conceptional development of SysML and its eventual specification. I still have responsibilities to clean up in the specification. So why are you involved in SysML? What made you attracted to SysML standardization? What I am really attracted to is “Model-based Systems Engineering”. I am really attracted to the idea of doing systems engineering better and making a better use of the time and talents of system engineers.. rather than get bogged down in generation of documents, rather than get bogged down in having to do accounting of requirements and verifications and routine drudgery to some degree of writing paper specifications. I much rather have the creative talented system engineers focused on making sure that right questions are being asked and that the answers are actually still relevant to those questions. I’ve seen way too often where a specification gets written – a paper specification and a lot of the requirements that show up in it are really non sequiturs. They don’t really apply and they are not even valid. My passion is around providing a structure tool set to try to make that to use computing power to our advantage to try to make sure that system engineers can do the right thing and not waste time. I think be more fun to be a system engineer and in modeling-based environment. Fun is important! That’s a part of our creativity. Does SysML start top down or bottom up? So now when you do Model-based Systems engineering using SysML, do you you usually start top down or bottom up or some other way? It really depends on the problem we are trying to solve. Model-based Systems Engineering is not appropriate in all cases. There are some times where it’s very appropriate, very useful and there are some times where – if you can’t clearly articulate for example what you are trying to accomplish with your model, and probably you want to hold off. You probably want to make sure that you could articulate why you want to build a model in the first place. So to answer your question more specifically, I did a lot of work doing proposal development concept development while I was at Raytheon. We almost always started the top-level because we would have users or other key stakeholders engaged and we would want us to start at the very top. – how do we scope? – what kind of problem we are on? – How we build up a model, the domain that our customers are interested in?…. and from that, of course we would start to have our architectural alternatives. That’s very much a top-down approach. But there are several times where the contracts are already worded or we’re in the follow up phase and we are not having to make those kind of decisions about scoping the concepts and context of what we are doing. it’s really more matter. We need to be able to document the interfaces or some of the interactions as much lower level. At that point, that doesn’t make sense to have to go all the way back up. As a matter of fact, it could be disruptive. They try to say “oh well, we have to re-map the entire context of systems.” rather we just focus on the interfaces to be able to do the work that really needs to be done. So now I also understand that you are now currently teaching a course at the university of California, San Diego. Can you tell me about that? Yes, I am very excited about that. It is a course focused on System modeling SysML. but the important thing about the way the course is run is that it’s very much focused on the students actually building models and then maturing those models over a 9 week period at the class. I took over this teaching of this class from J.D Baker who did all the round work and left me a good supply materials to draw from and one of the key things about doing that and having students having to actually build model is.. the selection of the tool. One of the things JD has started, the tradition when he taught the class and I have kept up is that students have to decide on their own what tool they are going to use. It is easier for me as an instructor if they all pick the same tool But I think that is an important enough decision that I’ve deliberately decided to keep that is a part of the course they get to decide. So right now, I am very grateful for the folks at Astah for them to provide Astah SysML licenses for my students but there would be couple other tool licenses that will be available as well. I am hoping that students will pick the same tool but they may not and I would be okay with that because I have access to the tools. It’s important for them to work through that. That’s great. It’s been fun talking with you. See you at the next OMG meeting!